Earlier last week Apple unveiled their refreshed take on the iPhone 8 and 8+ with a glossy red version, similar to the mid-cycle refresh of the iPhone 7 last year. During last weeks release of the red iPhone 8/8+ many wondered why the iPhone X didn’t get a similar color refresh; those concerns appear to have been addressed with the latest leaked FCC filing which appears to show a gold colored iPhone X. Personally the Gold color isn’t for me, I personally prefer the silver/white scheme on my own iPhone X, which for lack of a better word seems less “gaudy”. However for anyone who likes to stand out the Gold iPhone X certainly does that, it wouldn’t look out of place with celebrities or at high end casinos, although you could always use VR Casino gaming apps if you prefer to avoid interacting with people. According to reports not only is there a gold iPhone X on the way, but reports point that the iPhone X’s successor will likely also show up in similar colors. It does seem that Apple are still trying to tweak which base colors to use for their flagship phones, as they constantly change which colors are available at launch; and which ones are included in the mid-cycle refresh. The iPhone X for example launched with a surprising limited color range, coming, simply in either silver, or space grey / black; a stark contrast to the iPhone 7 which was available in a range of colors, including silver, rose gold, gold, and even two different black options, either jet black or the glossy piano black, further down the line Apple also supplemented the range with a matte red option. 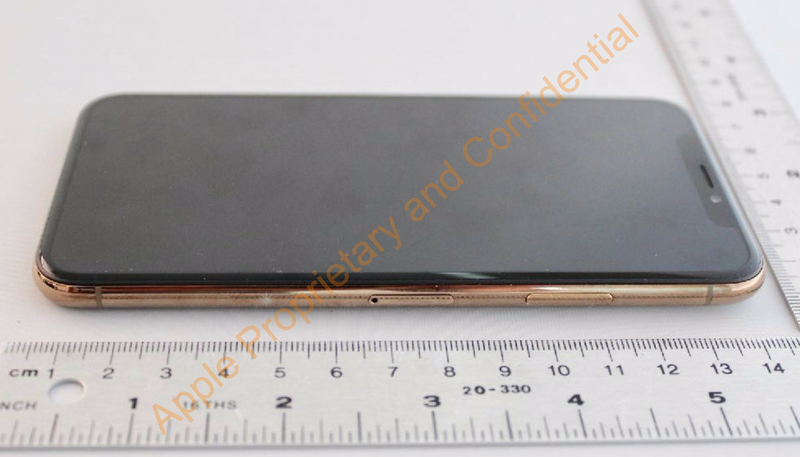 From the available photos it does look like the gold metallic rim around the sides of the phone are quite shiny, and likely fingerprint magnets, similar to that of the silver iPhone X. Thankfully the back of the phone still appears to be a colored back, covered with a glass plate which does tone down the colors a bit, unlike the red version of the iPhone 8, which as theVerge puts is, is “candy red” with some color shifting capabilities. ٍSo what do you think of the gold iPhone X? Yay or Nay?